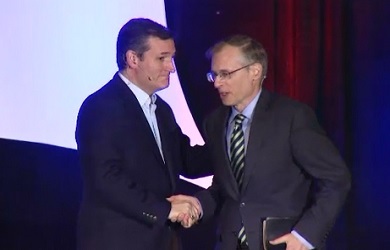 Last year, Sen. Ted Cruz, his father Rafael Cruz, and two of his then-rivals in the Republican presidential race attended a “religious liberty” conference in Iowa hosted by Kevin Swanson, a radical pastor who had a long record of viciously anti-gay rhetoric, which he continued at the conference itself by expounding at length about his view that the Bible commands governments to put gay people to death. Before the conference, we publicized Swanson’s history — including his discussions of the death penalty for gay people — leading one Republican presidential candidate, Ben Carson, to drop out of the conference. A few days before the conference, CNN’s Jake Tapper read Cruz a few of Swanson’s statements and asked him about the wisdom of appearing alongside Swanson. Cruz claimed ignorance about Swanson and then dodged the question. Cruz went ahead to the conference, where he joined Swanson for one-on-one discussion. 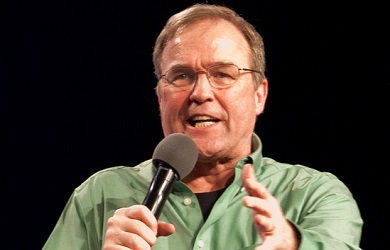 On the same stage that weekend, Swanson went on several unhinged rants about gay people, Harry Potter and wildfires. Immediately after the conference, MSNBC’s Rachel Maddow ran a segment about Cruz’s participation. 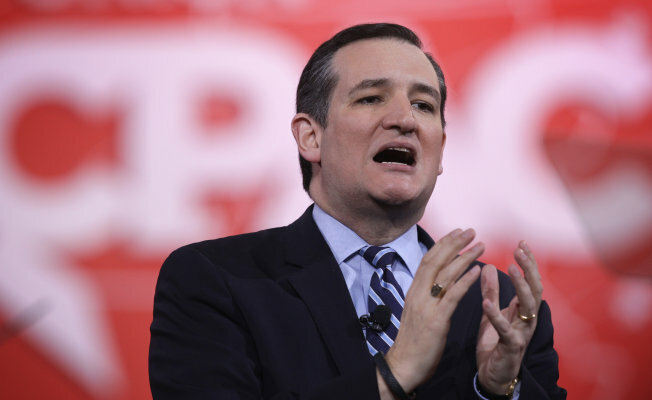 When a Des Moines Register reporter asked the Cruz campaign for a comment, she got no answer. Then, three weeks later, Maddow ran another segment about Cruz’s participation in the conference and finally got a statement out of his campaign about it. 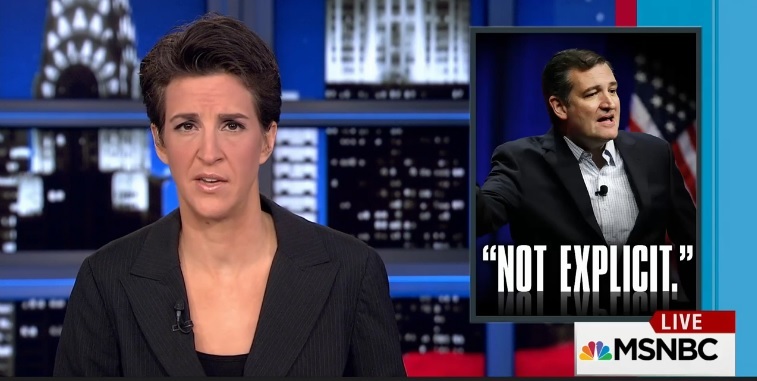 A Cruz spokesman, in response to a video of Swanson screaming about the death penalty for gay people, told Maddow that Swanson’s calls for the execution of gay people were “not explicit” enough for the campaign to even bother commenting on or condemning him. But that is not the story that Cruz told the “John and Ken Show,” a California talk radio program, when he was asked about his attendance at the conference yesterday. Instead, Cruz claimed that he was unaware of Swanson’s views before attending and falsely asserted that he “denounced them at the time,” once he learned about them. “We need to be bringing people together and we need to be standing up for the rights of every American, that’s what I’ve done in the Senate and that’s what I’ll do as president,” he added. “I stand unequivocally with Kim Davis,” Cruz told Swanson, referring to the Kentucky county clerk who had attempted to prevent her office from issuing marriage licenses following the Supreme Court’s marriage equality decision. He added that the Supreme Court’s ruling was “fundamentally illegitimate” and lavished praise on Swanson for publicizing “the threat” it posed to Christians’ liberties.